The legal team for a woman suing over alleged misreading of cervical smears has raised concerns in the High Court as whether they were given for testing her correct smear slide by laboratory MedLab. The move came after it emerged at the weekend a form submitted with the 2012 slide for testing in the Ruth Morrissey case contained details relating to another woman, but allegedly purported to be signed by Ms Morrissey. Ms Morrissey, who is seriously ill with cervical cancer, has sued the HSE and two laboratories over the alleged misreading of two of her cervical smears taken under the CervicalCheck screening programme in 2009 and 2012. Mr Justice Kevin Cross was told her solicitor Cian O’Carroll has now written to MedLab outlining his concerns about the 2012 slide and seeking an explanation. Counsel for Ms Morrissey Patrick Treacy SC told the court his side were not suggesting any impropriety but he said there is a concern if the experts on the Morrissey side had ever examined the correct slide. 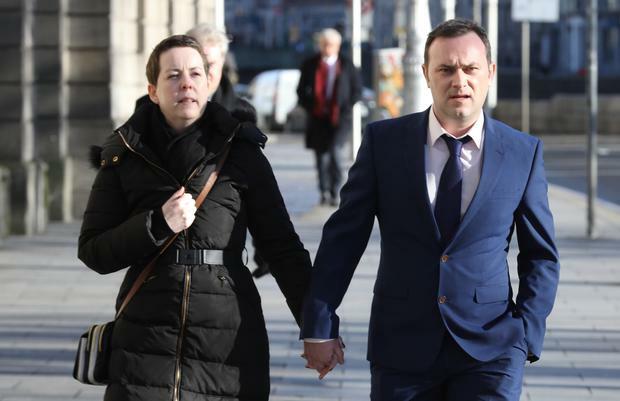 Jeremy Maher SC, also for Ms Morrissey, said the 2012 MedLab slide appeared to have a cytology form which included a different address and date of birth to Ms Morrissey and details of a different and older person, which the court called Woman B. He said their side now required a full explanation as to why this form was included and why was Ms Morrisey’s signature on the form. Ms Morrissey, counsel said, will say she did not sign that form. The concern now, he said, is whether their expert has ever seen the correct slide. In the witness box leading cervical expert Dr Michael McKenna has given evidence that cervical cancer “on the balance of probabilities” was there in 2012 when a smear slide tested by MedLab laboratory was reported as negative. Eoin McCullough SC, for MedLab, told the court in July 2018 when the Ruth Morrissey slide was sent out time was a premium and there was no requisition form and a mock up form was created. Counsel said the correct slide was analysed. He said he will have to take further instruction on the question of Ms Morrissey’s signature. Mr Treacy SC, for Ms Morrissey, said it has been confirmed Woman B went for a smear test in 2011, eleven months before his client. He added it could also have been the wrong slide at the time of the audit.